DOES IT WORK? Fenugreek and diabetes. FENUGREEK is one of the oldest medicinal plants in recorded history. Its use originated in India and northern Africa, particularly in ancient Egypt. Fenugreek was and is commonly used in foods, especially in curries. The seeds are used both as a spice and in herbal remedies. Fenugreek seeds taste somewhat like maple syrup and an extract was often added to bad-tasting liquid medicines. Today, extracts of fenugreek are added to less expensive brands of maple syrup because of how expensive pure maple syrup has become. 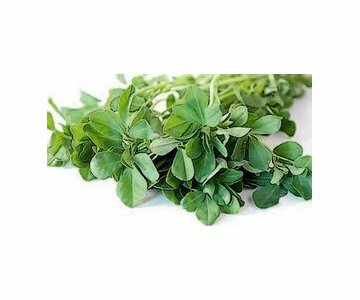 Traditionally, fenugreek was used for digestive problems, to aid labour and delivery, and for a wide variety of other problems. Recent interest has focused on its potential to lower blood sugar levels in people with diabetes. Animal studies have demonstrated that fenugreek leads to reduced blood sugar and cholesterol levels. Beneficial results have been found in several studies, but the magnitude of the benefit varies widely. In addition, other animal studies found that fenugreek stimulated the uterus of some species, more so in later pregnancy. Very little research on humans has been published. An early study in Israel found that when fenugreek powder was added to meals, people’s blood glucose levels were significantly lower after the meal. A small, double-blind study was conducted with people newly diagnosed with type 2 diabetes. Twelve people took fenugreek capsules for two months, and 13 took a placebo. Everyone was also given advice on diet and exercise. After the two months, the group taking fenugreek had significantly better scores on some tests for diabetes, but not all. The group also had significantly improved cholesterol levels. A few other low-quality studies, with even fewer participants, have been reported in which patients with type 2 diabetes had improved blood sugar levels. In addition, a large randomised controlled trial found beneficial effects on blood glucose and cholesterol levels. However, fenugreek was just one of four herbs in the product tested so it is not possible to know which of the herbs contributed the benefits or if the combination was necessary. Fenugreek contains natural agents which prevent blood clotting. Anyone taking “blood thinning’’ agents (such as warfarin or aspirin) should not use fenugreek in case coagulation is hindered too much. Anyone with diabetes whose blood sugar levels are already stabilised should not take fenugreek without being carefully monitored to ensure their blood sugar levels do not drop excessively. The taste and odour of fenugreek has occasionally led to some confusion. Some children can consume so much fenugreek that their urine smells like maple syrup. The body odour of babies born to mothers who consume lots of fenugreek can sometimes smell like maple syrup. This can be mistaken for a rare genetic disease called maple syrup urine disease. The maple syrup odour is not problematic, but confusion with a serious genetic disease can lead to significant worry until properly understood. Fenugreek itself usually does not cause difficulties, although it can cause intestinal problems in some people. Occasionally, people can be allergic to it. A small amount of preliminary research points to fenugreek having some value in the early stages of type 2 diabetes. However, none of the research is of high quality and so it is premature to consider using fenugreek as a treatment for diabetes. Much remains to be learned about the best way to use fenugreek. In addition, several grams of fenugreek a day are usually recommended to lower blood sugar levels, which may not to be to everyone’ s taste. The evidence so far suggests that fenugreek may have a role as one component in the dietary management of early diabetes. Beyond that, much further research is needed.